The Asian American Journalists Association (AAJA) Sports Task Force has named Brady Wakayama the first ever recipient of the Al Young Sports Journalism Scholarship. 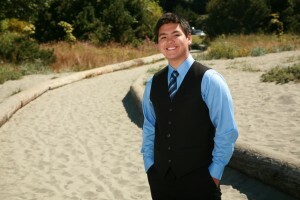 Wakayama, a senior at Washington State University, is a communications major with an emphasis on broadcast journalism and a minor in sports management. He is currently developing his skills as a member of the Edward R. Murrow College of Communication’s Murrow News 8 team, where he has done everything from reporting, writing and producing to anchoring newscasts. “As the namesake of this award, I’m extremely delighted and proud to congratulate Brady on being the inaugural winner of the AAJA Sports Task Force Journalism Scholarship. This is not only a testament to the hard work and dedication he has already shown early on but, hopefully, this will be another stepping stone toward achieving his sports journalism career dreams,” said Al Young, a retired sports journalist and current advisor to the Quincy College (Mass.) student newspaper. Currently a student member of AAJA, Wakayama has also shown his support in the Asian American community, volunteering since 2009 at Seattle’s Asian Counseling and Referral Service. Wakayama is expected to graduate in May 2016. The Al Young Sports Journalism scholarship is named after an award-winning journalist whose career spanned more than three decades. 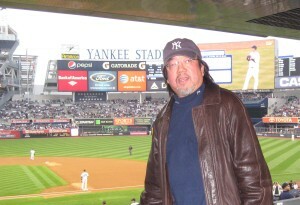 Young was the nation’s first Asian American sportswriter at a metro daily. He was a writer and editor at various publications including the Boston Globe, USA Today and the New York Daily News before he retired in 2014.